Step 1: What is a dental bridge? Step 2: Am I a candidate? Yes. We’ll perform an initial exam to be sure composite veneers are the best treatment option for you. The exam may include photos and/or x-rays. Step 3: How do I get started? The first step is to schedule a consultation so that we can decide together if a dental bridge is the best option for you. 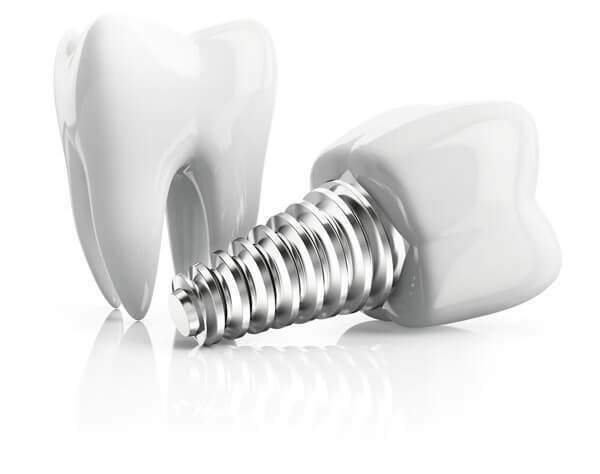 From here, we can schedule additional appointments for the fabrication and installation of your dental bridge. Step 4: Will I need an exam? An exam and, in some cases, x-rays are important in determining if a dental bridge is the proper treatment for you. Step 5: What happens next? 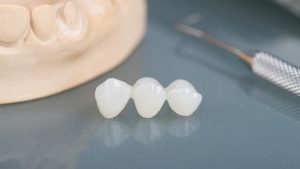 First, a preliminary impression is taken so that we can fit you with a temporary bridge or crowns while our dental technician is fabricating the permanent custom bridge. This is done to protect your teeth and gum tissues. Step 6 Will my anchor teeth need to be altered? The final step is taking an impression, or mould of the filed down teeth so that the permanent custom bridge can be fabricated. In some cases a diode laser is used for tissue conditioning. A temporary bridge or 2 temporary crowns are installed to protect your teeth and gum tissues. Step 8: What about cost? Cost for the build-up, bridge and laser work starts at $4600.